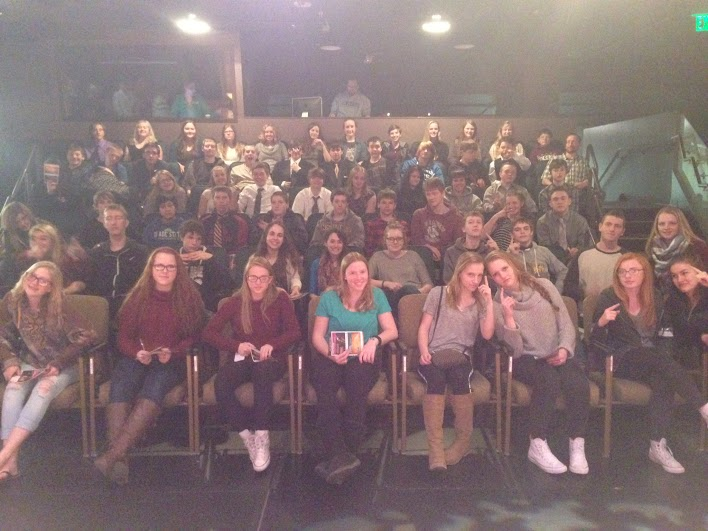 Thanks to Cuyuna Lakes Educational Foundation the Crosby-Ironton ninth graders had the opportunity to experience a real theatre production of Romeo and Juliet at the Park Square Theatre in St. Paul on March 31st. The theatre’s small setting allowed our eighty students to watch the play up close and personal- to a point where some students thought the swords would strike them! The Park Square Theatre created a thrilling and engaging production of this classic, which allowed the students to better comprehend the plot and the characters themselves. With a theatre production and the fast paced action it provided, student were extremely engaged within Shakespeare’s world, making his humor and intentions for the play stand out. This field trip also allowed prompted the students into a classroom discussion about the portrayal of characters in Shakespeare’s play versus Park Square Theatre’s interpretation. This character analysis has helped students extract evidence from the play to support their thoughts in a five paragraph essay. The play was not only a great educational opportunity, but it was also a fun, new experience for students to dive into the world of Shakespearean theatre.